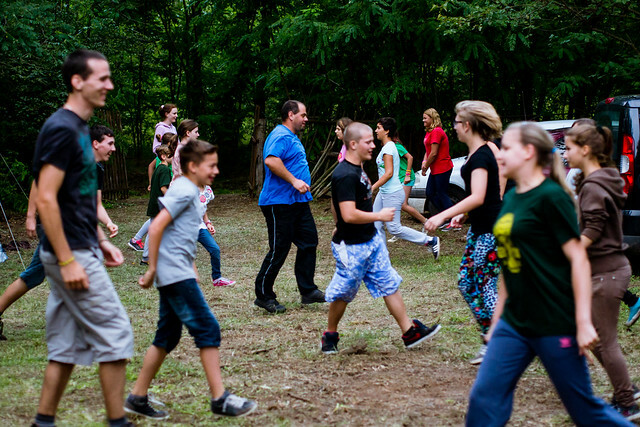 This past weekend we set off with our youth group to the town of Jászfényszaru for a few days of camping. We continue to seek to build unity among the new youth group that has formed over the past year and reach out to new teens in the community. Jászfényszaru is about a half hour drive away from Petofibanya. Team members Miki and Erika have been commuting out to this town, teaching Bible in their public school, holding evangelistic Bible studies and seeking to initiate a church plant. We’re thankful for the doors the Lord has been opening in this town and for the success of our first camping outreach to teens in this area. 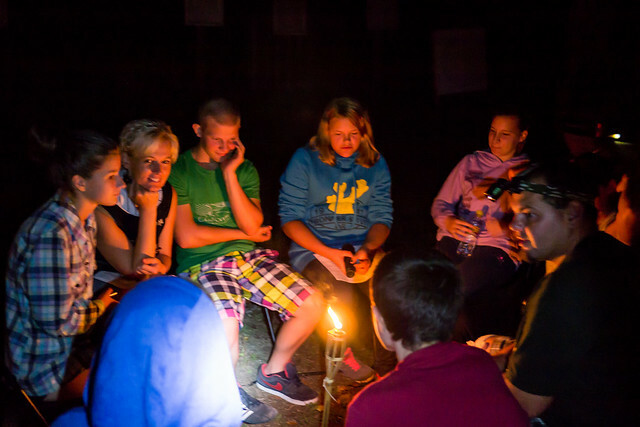 Above: There is something about sitting around a campfire in a small group. Kids open up. 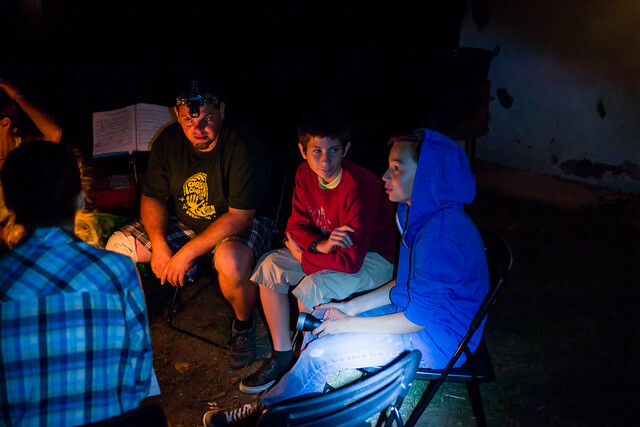 Our first night around the fire, we discussed questions about life and making difficult decisions that would impact how we live. Above: Get that fire going! The temperature dropped drastically the first night and we awoke shivering and rushed to gather around the fire in the morning. 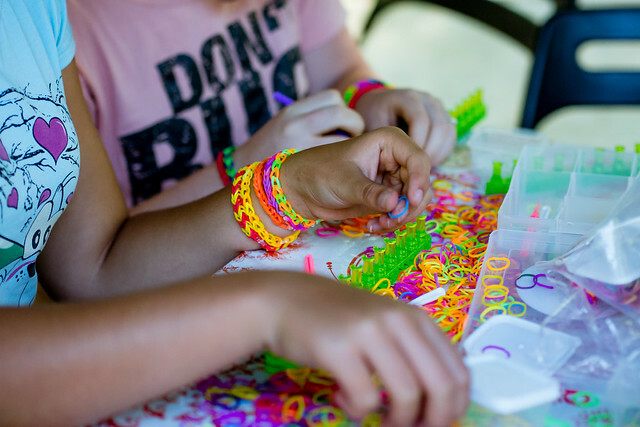 Above: Using some of the crafts left over from English Camp for free time. Praise God for left-overs! Above: Gyozo (middle) has been growing in his faith. He has been helping lead the youth group the entire year. 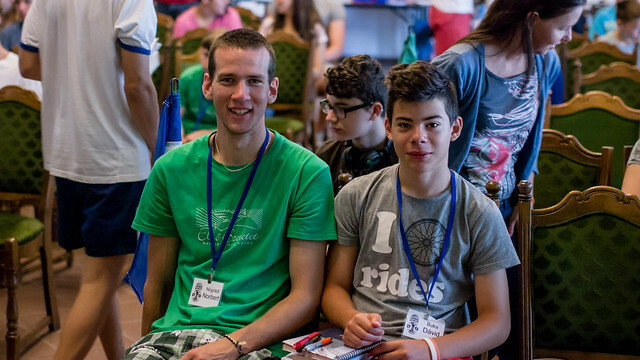 Please pray for this young man to continue to mature in Christ and be used to influence a new generation of Hungarians to faithfully follow Jesus. 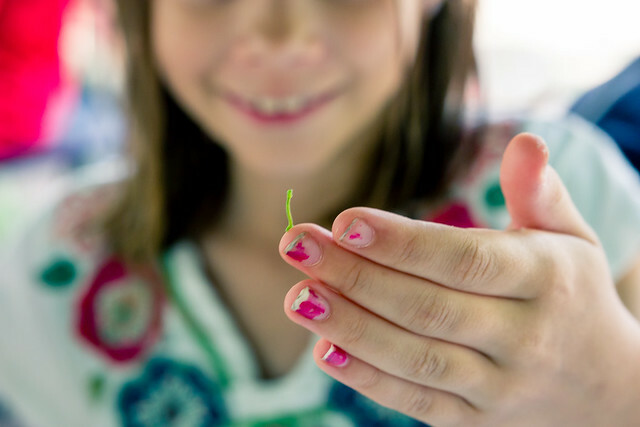 Above: Kira with her friend the inch worm. Above: Having a great time learning an Irish dance together. 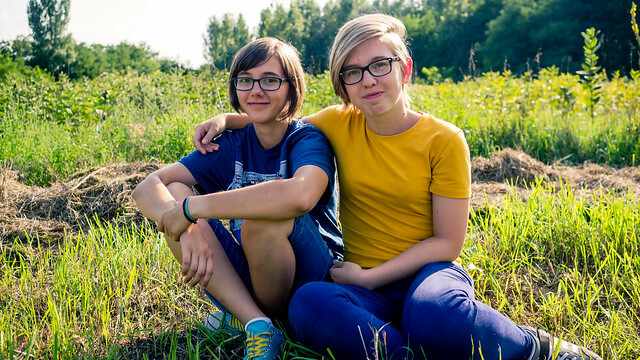 Above: Fanni and Eszter. It has been a slow process connecting with Fanni and Eszter. 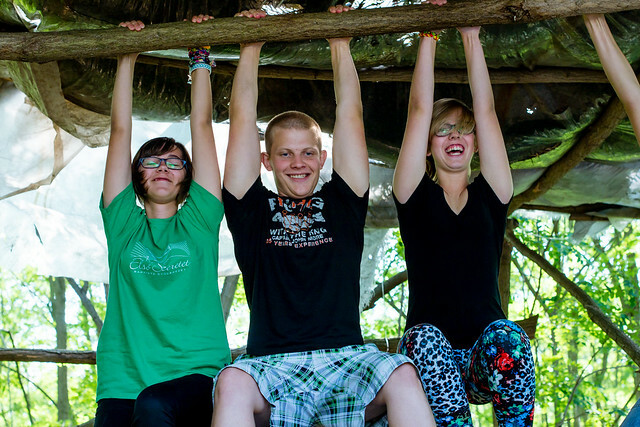 They have attended past summer camps with us, but afterward would drift away. This past summer, God drew them into our fellowship and now they are members of our youth group that meets every Friday. They also attend every Sunday and are learning what it means to know and follow Jesus by faith. We have heard from family members how much our church has had an impact on Fanni who seemed to be a wanderer, disconnected from others and struggled with identity with a terrible home life. Praise God for the way his love and truth is transforming her and bringing light into her life. Above: A grandfather of one of the kids from Jászfényszaru attends the last day of camp. God opened a door to discuss the beauty of the Gospel and the reason for the hope we have in Jesus Christ. He professed atheism and respected what we were doing but did not believe in God. He struggles with many health problems, some of which I also had encountered in my life and experienced God’s healing. One of the reasons he said he couldn’t believe is that he just had no experience of seeing with his own eyes. What he did witness was corruption from so called Christians, and all sorts of hypocritical behavior. In the end I offered to pray for healing and unfortunately he refused each request. Since he is related to one of our church members, we hope to have more opportunity to reach out to him in the future. 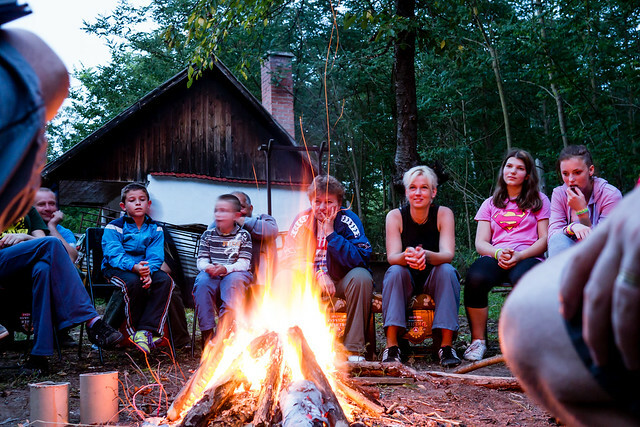 Above: Our last night together, we gathered around the fire once again and heard the concluding message from Dezso comparing the love of God and the love of the world. I had opportunity in the morning to give a devotion on guarding your heart. This camp was a great opportunity to further preach the gospel to these teens and equip the teens with right thinking as they approach more and more challenges this coming school year. Praise God for a great camp! May the seeds of His truth that were planted through testimonies, conversations and teaching of His word grow in our hearts and bring glory to Jesus. Above: Levi and Allen drenched after the infamous English Camp water war. 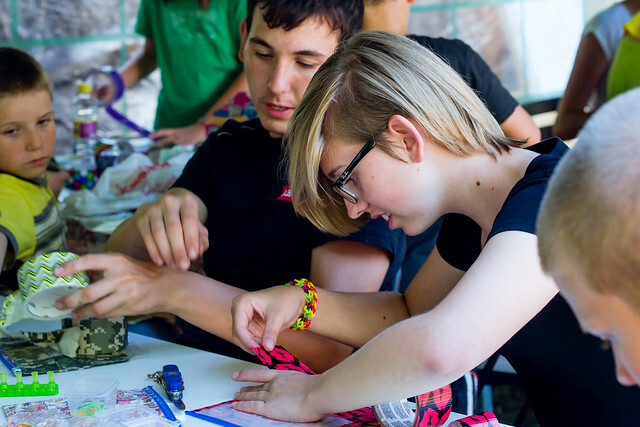 Even though it is hard to capture in one post the number of gracious ways God has worked in camp this year, I wanted to share some thoughts that impacted me. Due to the nature of camp, I only see many of these kids once a year. One such camper, Levi, was also a student in my top level english Class last year. Two years ago, Levi made a decision at camp. Last year he recommitted his life to Christ wanting to grow more. Levi is in a situation that is typical in Hungary. His parents are not believers. His father is an alcoholic. He has had to be more of a caretaker of his dad than his dad has been for him. He has experienced poverty and great pain in his life. Jesus has taken this young man and begun a great work! This year, while we were praying in our leadership meeting, Levi prayed, “Lord. Thank you for this camp. I believe this is the most effective way in Hungary to tell others about You and Your love. Please help my classmate that I brought this year to know you.” Meeting Jesus at this camp has changed the course of this young man’s life. He told me stories of seeking to represent Jesus at his school and the persecution and blessing he experienced. He told me how God may be calling him to help lead a youth group in a local church. I’m amazed at the work of God’s grace and provision that is transforming Levi’s life. 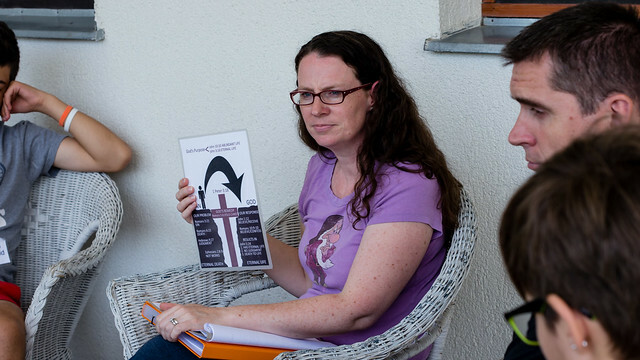 Above: Sharon sharing the Gospel in morning Bible reading time. Another highlight was having Sharon teaching Bible study and giving her testimony before the campers. With all of our kids getting older and the number of kids workers that were available, Sharon was freed up in new ways. One of her students, Norbi, was a young man that we have known for years in Petofibanya. Norbi had come very close to a decision years ago, but then chose the way of the world and drifted away from our fellowship. Through those years, he experienced the emptiness of what the world had to offer and felt God drawing him back. While with his friends, he said he felt he couldn’t take it anymore. They began drinking as usual and pulling him into darkness. A darkness that he sees in his father who is an alcoholic. Norbi just left and the next day he came to church on his own initiative. Since then he has met with many of us and talked about what it means to be a disciple of Jesus Christ. He has made a decision to be baptized and follow Jesus. 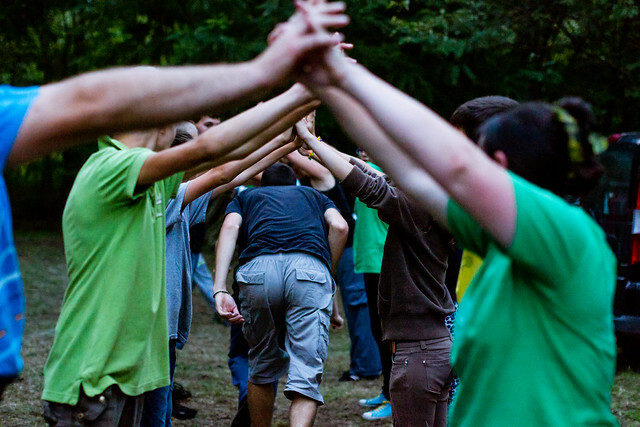 Above: Norbi left in green shirt. Norbi helped in our VBS and then was able to come to our English Camp. When he heard Sharon’s testimony he broke down. Norbi is 22. Sharon shared that she was 22 when she finally saw clearly that she must choose between fully committing to the world or to Jesus. 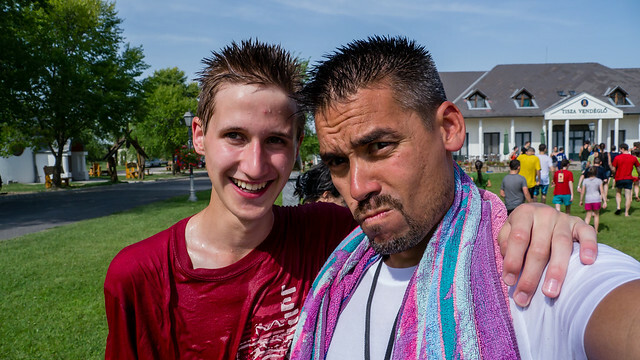 Everything that Norbi heard and experienced at camp solidified his resolve to choose Jesus. Norbi has since been joining me as I travel and hold different Bible studies in Apc and Bogács with the Romani. Praise Jesus for going after Norbi and not allowing him to wander into a life separated from God. 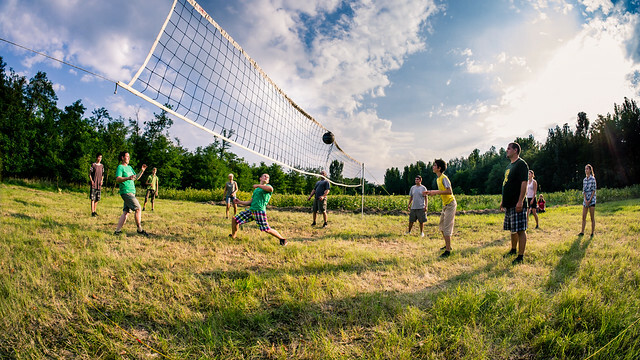 Above: Bogi in afternoon free time with friends. Bogi shared that her father has a hatred for religious institutions. Bogi said that her dad can’t believe because of the church and church history. Bogi has been to Catholic church many times but they look down on her because of her ‘punk’ hairstyle, long on one side and shaved on the other. She said she didn’t understand christians that are one way on Sunday and then totally different every other day. 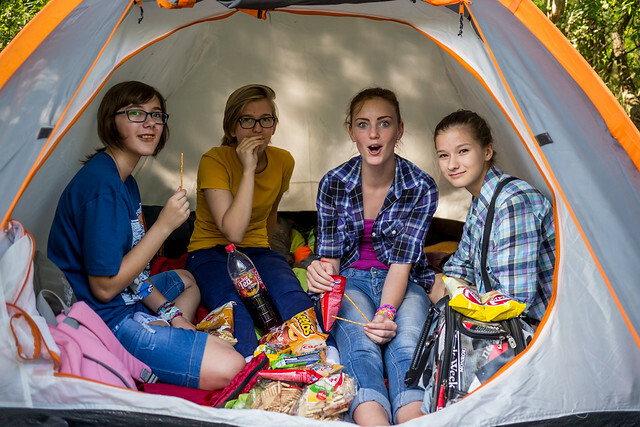 Bogi said that she sees something totally different at English camp and would like to know more about the churches we attend but she fears what her family would think. 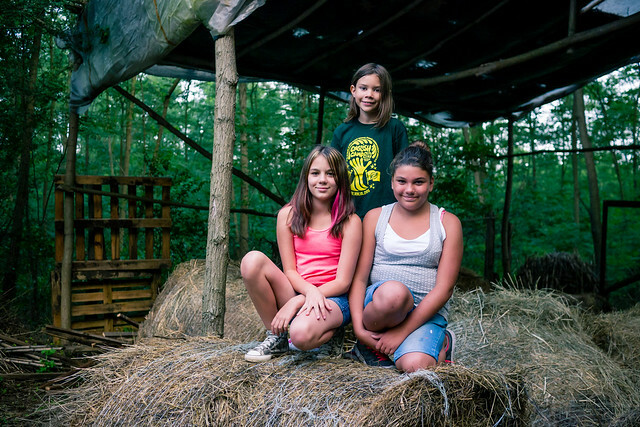 She talked to her mother on the phone every night in her room and excitedly explained what was happening at camp. When her mother asked why she doesn’t have the same joy at home when attending church she said, “Because here at camp people love you.” On the day where the gospel was to be shared in the morning reading hour, Bogi came down with severe ear pain. If things didn’t get better, she was planning to go back to her room and just sleep missing class. I had an opportunity to pray for her to be healed and afterward she was able to go to class and hear the gospel. Bogi told her mom on the phone about the incident. “You are not going to believe this! I was kind of afraid when Allen wanted to pray for me. I didn’t know what to expect. Allen leaned over and I was shaking. He laid his hand on me and afterwards the pain left. I don’t know what happened but it was good!” Praise Jesus for touching Bogi with healing and revealing his love and his message of reconciliation to her. Please pray for Bogi that she may no longer know God as a religion, but may experience God in a personal relationship through Jesus Christ. 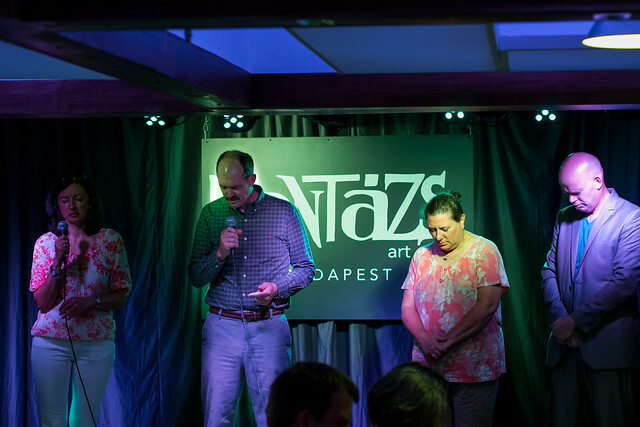 Thank all of you who joined us in praying for this important ministry that is transforming a new generation that will be the future of the church in Hungary! 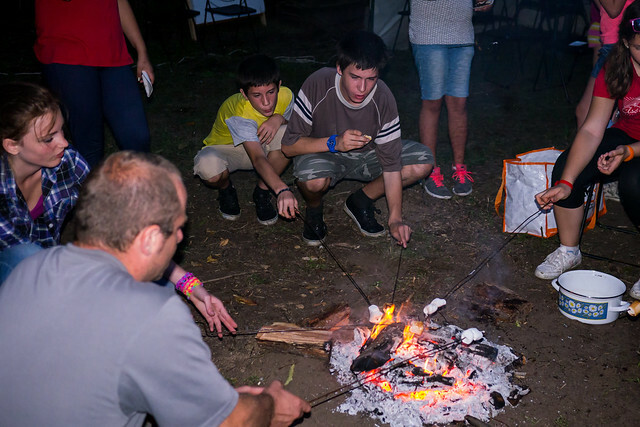 Thank you also for your continued support that allows us to take part in ministry every day in Hungary. Your investment allows us to freely invest! Of course, the best way of catching a glimpse of what went on at camp is to view our camp videos. I’ve attached one below. 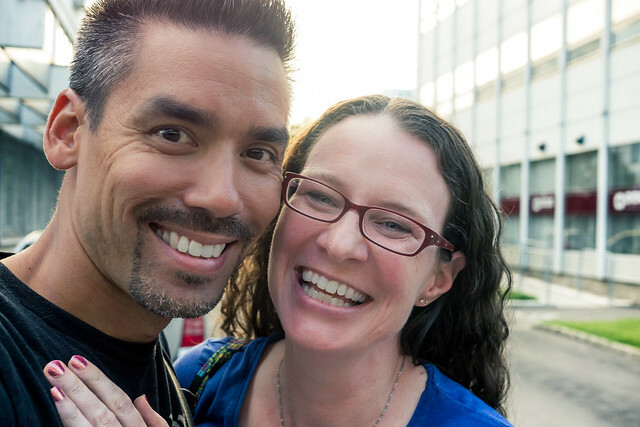 Tomorrow, Sharon and I celebrate 16 years of being one in marriage! 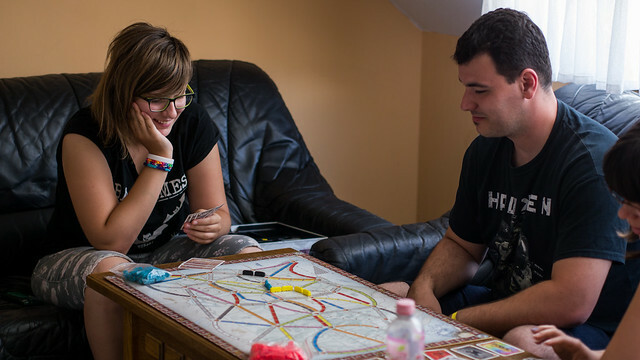 Last week were able to have a date night as our friend Eszter watched the kids. 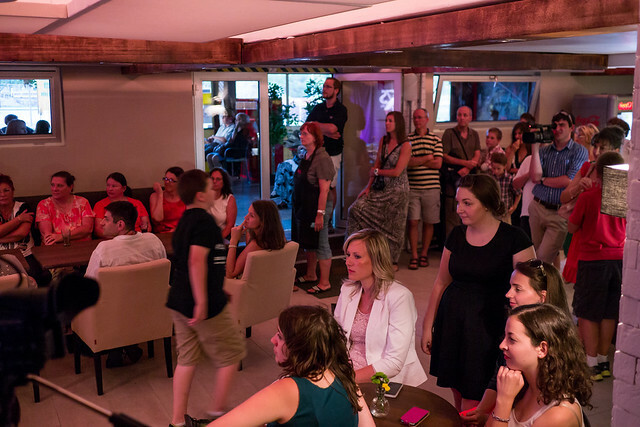 Some of you may remember that Sharon’s original vision for work in Hungary was the foundation of a coffee house as a platform for church planting. Many of you who have known us from the beginning remember our days tearing up an old basement and renovating it in Budapest. We launched a coffee house ministry, but resources were limited at the time. 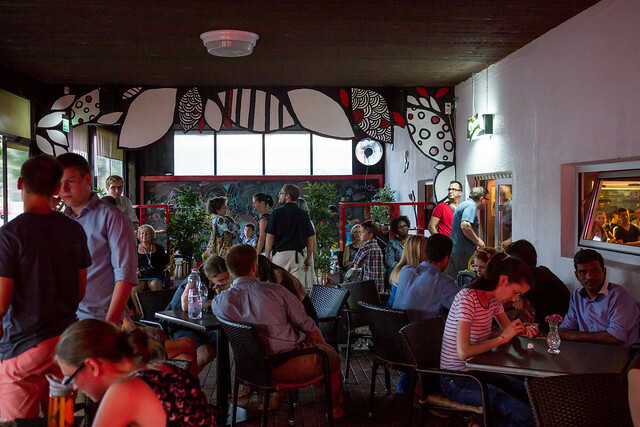 Soon after, we were called to Northeastern Hungary for church planting and left the coffee house as something that could be taken on at any time once there were enough people and resources. 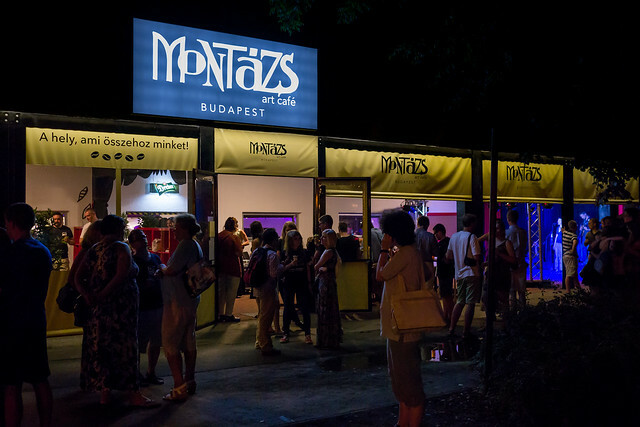 Now, eleven years later, God has raised up a team and resources to open the Montazs Art Café. We were invited as honorary guests and were thankful to see what was envisioned so many years ago finally come into reality. Above: Brad, Sharon and Allen. 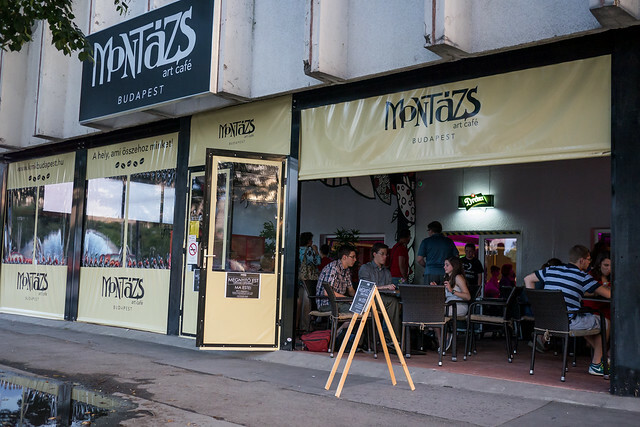 Brad was a construction mastermind who was a key person in the coffee house eleven years ago and also has partnered to make the Montázs Art Café what it is today. 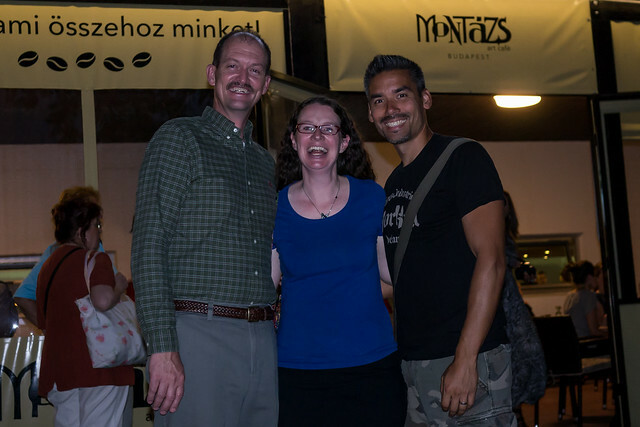 Brad is a prayer warrior and facilitates prayer teams that have served throughout Hungary. Above: Prayer of dedication for the Art Café ministry. Above: Little did anyone know eleven years ago that this would end up being the stop for the 4th Metro in Hungary! 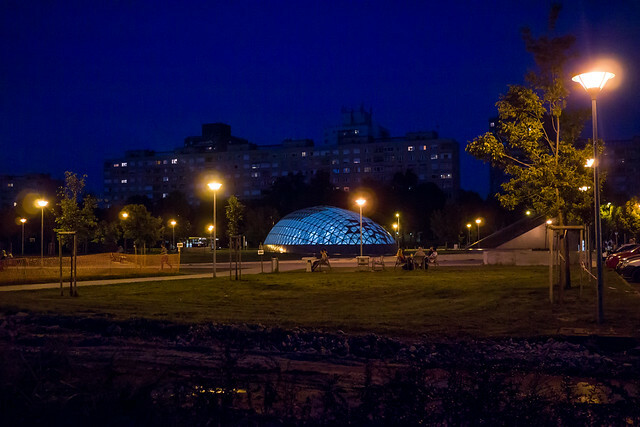 Over the course of these years, the Metro was built (blue bubble structure) and the park next to the coffee house was renovated and this is a prime area to share the Gospel!